Decorating the exterior is just as important as the interior. Most people are focused only on the inside of the house, but you should not neglect its exterior, if you seek harmony. 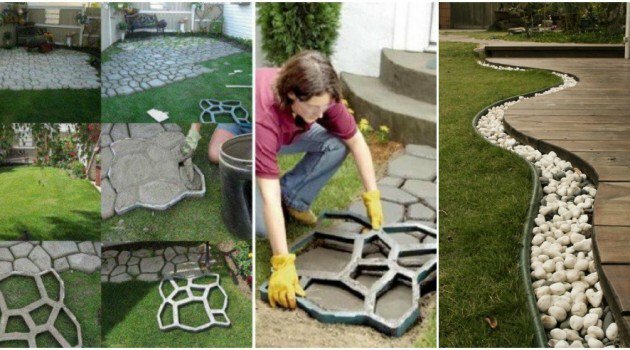 Pay attention to these few beautifully made backyard DIYs, that may inspire you in a similar way and make your own. When it comes to landscaping, most people think that plants and flowers only elements that this category includes. But, it is necessary to access holistic and take into account elements such as fences, walls, stairs, terraces, paths, water surfaces, etc..If you need some inspiration, to make beautiful backyard projects, you will find it here. We present you Top 25 Insanely Clever Backyard DIYs That Everyone Must Do This Season. All of them are beautiful and all of them are easy, See our proposals, and make the backyard of your dreams. Have fun!